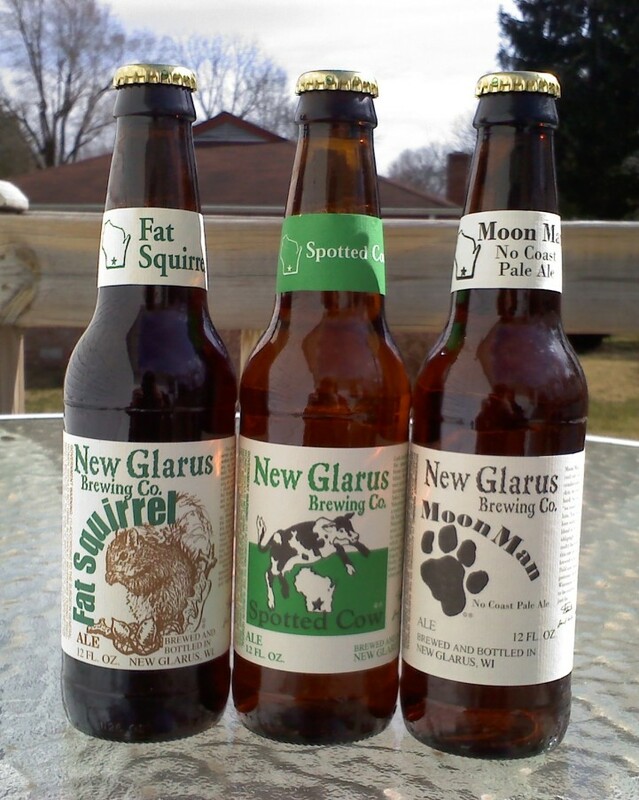 What do A Spotted Cow, A Fat Squirrel and A Moon Man have in common? 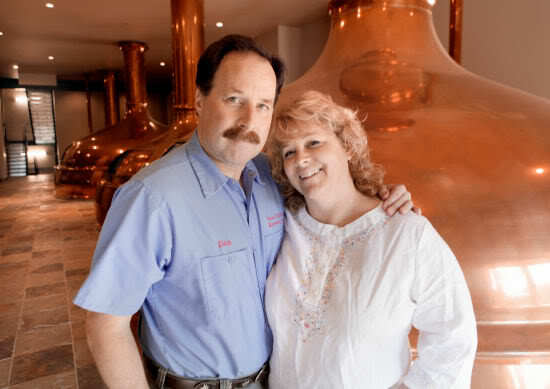 New Glarus Brewing Company is a small independently owned craft brewery located in the 2,000 person town of New Glarus, founded in 1993. The company brews a wide variety of beers, namely Fat Squirrel, Moon Man, and Two Women. They have also won awards in many categories notably, best international beer, best speciality beer, best small brewery in America & best mid sized brewery of the year. They have been rated the 21st largest craft brewer and 32nd largest overall brewing company in the country which is impressive when the brewery employs only 62 people and is on par to produce 100,000 barrels of beer this year. The Green County, Wisconsin Economic Development Corporation says the brewery has a direct and indirect economic impact of about $40 million a year. 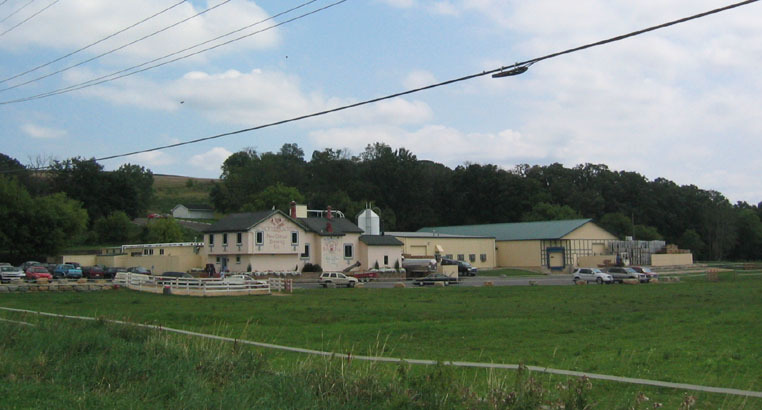 Production at the company’s old facility had topped-out at over 65,000 barrels a year, & in 2009 the Hilltop Brewery Beer Depot opened to handle the demand of public tours and expanded production. New Glarus Brewing Company offers a total of eight regular beers available year-round, including Wisconsin Belgian Red, Raspberry Tart and Spotted Cow and an additional 7 seasonal beers. Also, there are a variety of other beers concoctions produced in series form, with a limited number of appearances once created. These experimental recipes are designated apart of their annual speciality brews in either the unplugged brew series and now another category labelled the thumbprint beers. 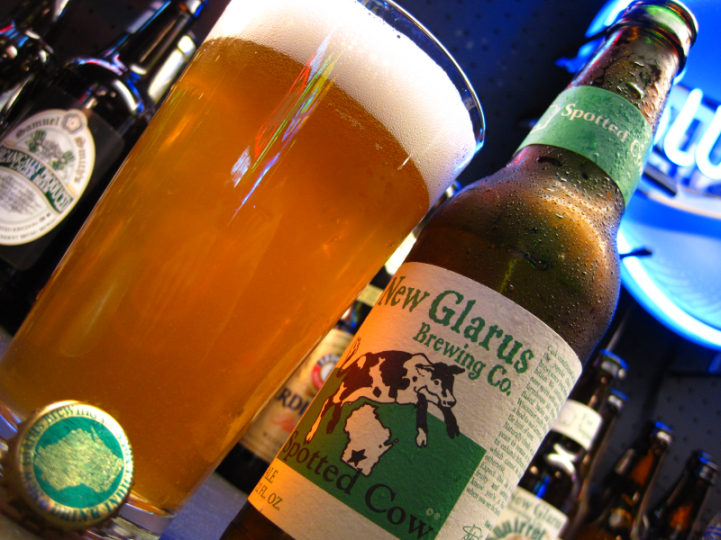 Most of their beers are made 100% with barley and wheat Malt, but Spotted Cow does contain corn. They do not use high fructose corn syrup when brewing Spotted Cow. Instead they use indigenous ingredients that reflect Wisconsin’s farming roots for that light, citrusy, and clean taste with a crisp finish. Spotted Cow is one of their unfiltered brews, which means that the brewer’s yeast is still present when your drinking it. Brewer’s yeast is full of vitamins and minerals, adding that final layer of greatness to it’s character. Full of Vitamin B and Potassium, the brewer’s yeast will sometimes settle at the bottom of bottles that have stood upright and stationary for a time. For best tasting results it’s good to reincorporate the brewer’s yeast flavor for that smooth and soothing taste. Simply set the bottle on it’s side & on a flat surface gently roll the bottle back and forth with the palm of your hand, pop the top off and enjoy. All of their wheat beers, like Dancing Man, go through a secondary fermentation in the bottle like champagne. Bavarian Style Wheat Beers are by definition highly carbonated and effervescent. They are known for their effusive foam. To minimize foaming when opening a bottle, Dancing Man should be at refrigeration temperature and opened very gently. Then be sure to pour this brew down the side of the glass. Sit back and enjoy the rising bubbles and sparkling taste! 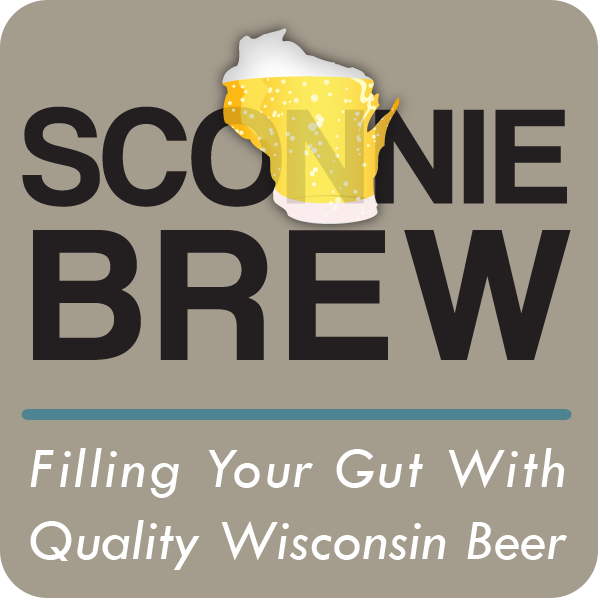 Posted by Sconnie Brew on March 4, 2012 in Breweries, Macrobreweries and tagged awards, Beer, Corn, Dancing Man, Fat Squirrel, Hilltop brewery, Moon Man, New Glarus, New Glarus Brewing Company, Spotted Cow, Two Women, Wheat, Wisconsin. Enter your email address to receive notifications of new article posts by email.